That web site also quoted a Jewish proverb “Do not be wise in words – be wise in deeds,” an African proverb “When deeds speak, words are nothing,” and a Chinese proverb “Talk doesn’t cook rice.” We chose this proverb for the title of this article because the difference between words and actions, or between messages and behaviors in communication terms, helps to explain differences in the ways public relations, marketing, and advertising professionals think about public relations or communication. 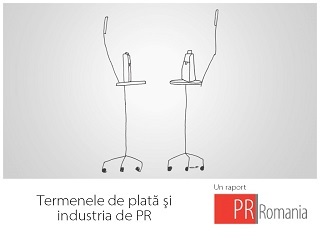 In the minds of most people, public relations has become institutionalized as a messaging activity whose purpose is to make organizations look good in the media or to sell products rather than as a management activity that affects how organizations behave and improves relationships among stakeholders and organizations. Organizational theorists define institutionalization as a process that occurs when actions are repeated and are given similar meanings both by oneself and by others (Hatch with Cunliffe, 2006, p. 86). Organizations and individuals repeat actions and share meanings to reduce uncertainty by conforming to what they believe are the expectations of others. Thus, because most people (including many clients of public relations practitioners) believe that public relations is a messaging activity, public relations practitioners typically supply what they believe is the demand for their services. In contrast, we and other academic and professional colleagues have developed a theory articulating a strategic role for public relations in management. Although this theory has been implemented by public relations practitioners who possess the knowledge to do so (see, e.g., evidence of its implementation in the Excellence study by L. Grunig, J. Grunig, & Dozier, 2002), it has not been institutionalized as the norm for the profession in the minds of large numbers of practitioners, journalists, and managers—and especially in the minds of marketing and advertising professionals. These different ideas about the nature of public relations also can be found in the ways in which public relations and marketing professionals have explained what communication accomplishes for an organization. For many years, they have searched for a single concept—and a single measure—to explain the value of public relations to an organization and to society. In recent years, public relations professionals and public relations firms, in particular, have focused on the concepts of reputation and branding. They have been assisted by business scholars eager to enter the intriguing new research area of reputation, marketing experts promoting the concept of branding, and public opinion research firms eager to capitalize on the popularity of reputational evaluative surveys such as those that produce the annual Fortune magazine index of corporate reputations. Public relations scholars, in contrast, have focused on the concept of relationships—not to the exclusion of concepts such as reputation and branding but as an explanation of how reputations and brands are shaped through organizational behaviors and relationships. The purpose of this article is to explain the strategic management role of public relations and to show how public relations affects a reputation or a brand by contributing to organizational governance and cultivating relationships with stakeholders. We begin this explanation by comparing two different paradigms, or ways of thinking, about public relations. At a world public relations forum in Stockholm, Sweden, in June 2010, the Global Alliance for Public Relations and Communication Management, an association of national public relations associations, issued a set of principles for public relations professionals to “administer on a sustained basis and to affirm throughout the profession, as well as to management and other relevant stakeholder groups” (p. 1). These Stockholm Accords resulted from the “collaborative effort of leaders of the global public relations profession from 32 countries” (p. 1). The Stockholm Accords affirm that public relations should play a major role in organizational governance and management as well as in communication programs for internal and external publics and that its value comes from increasing the organization’s sustainability “across the economic, social, and environmental ‘triple bottom line’” (p. 2). Similarly, three years earlier, the U. S. based Arthur W. Page Society (2007), an association of senior corporate public relations officers, issued a report that concluded that “CEOs are looking for their Chief Communications Officers to take a more strategic and interactive role within the senior leadership of the company” (p. 2). The report said that CCOs of the future should exercise leadership in defining and instilling company values, building and managing multi-stakeholder relationships, enabling the enterprise with “new media” skills and tools, and building and managing trust, in all its dimensions. Both reports argued that contemporary society requires public relations professionals who can deal with global interactions, relationships, and responsibilities and who can manage relationships among organizations and stakeholders in a global, digitalized world where issues and crises related to poor organizational governance have become commonplace. However, if one were to ask journalists or people in general if they believe the public relations profession delivers such value to society, most would express surprise that such a description is what public relations is all about. Likewise, if one also were to monitor the typical discussions among public relations or marketing practitioners in trade media and online discussions, he or she would find much more talk about messaging, publicity, media relations, media monitoring, and marketing support than about the roles and responsibilities of public relations in organizational governance. These differing views about public relations can be explained by two competing ways in which public relations scholars and practitioners, management scholars and practitioners, and people in general think about public relations: the symbolic, interpretive, paradigm and the strategic management, behavioral, paradigm. Those who embrace the symbolic paradigm generally assume that public relations strives to influence how publics interpret the behaviors of organizations after they occur and that its purpose is to secure the power of the decision-makers who chose those behaviors. These cognitive interpretations typically are embodied in such concepts as image, reputation, brand, impressions, and identity. Practitioners who follow the interpretive paradigm emphasize messages, publicity, media relations, and media effects, which they believe create an impression in the minds of publics that allow the organization to buffer itself from its environment, to use the words of the Dutch communication scholars Van den Bosch and Van Riel (1998). Such organizations believe favorable impressions created by public relations can obscure their decisions and actions and, in turn, that they can behave in the way that managers with power want without interference from publics. In contrast, the behavioral, strategic management, paradigm focuses on the participation of public relations executives in strategic decision-making so that they can help manage the behavior of organizations rather than only interpret it to publics. Van den Bosch and Van Riel (1998) defined this type of public relations as a bridging, rather than a buffering, function. Public relations as a bridging activity is designed to build relationships with stakeholders. The strategic management paradigm of public relations emphasizes two-way communication of many kinds to provide publics a voice in management decisions and to facilitate dialogue between management and publics both before and after decisions are made. The strategic management paradigm does not exclude traditional public relations activities such as media relations and the dissemination of information. Rather, it broadens the number and types of communication activities and fits them into a framework of environmental scanning, research, and listening. As a result, messages reflect the information needs of publics as well as the advocacy needs of organizations. Public relations has value in this perspective because it brings a different set of problems and possible solutions to the attention of strategic managers. Public relations executives counsel members of top management about the likely consequences of policy decisions on publics. They give voice to and empower publics in organizational decision-making by identifying strategic publics, conducting research to understand their problems and interests, and then communicating their views to senior management. The strategic approach also accepts the presence of subjectivity in both theorizing and communicating, the central assumption of the symbolic-interpretive approach. However, it goes beyond the use of communication in negotiating meaning to enhance the power of organizations and managers and also plays a role in negotiating the behavior of both organizations and publics. Public relations educates and persuades publics by advocating corporate interests, but it also negotiates with publics when a collision of interests arises. In doing so, public relations benefits organizations by helping them make decisions, develop policies, provide services, and behave in ways that are accepted by and sought out by their stakeholder publics—thus increasing the organization’s revenue, reducing its costs, and reducing its risk. We believe, therefore, that it is important to reinstitutationalize public relations as a strategic management function rather than as a purely interpretative function by explaining its role in strategic management and organizational governance. Concepts such as brand and reputation are symbolic in nature: A brand is what an organization tries to get stakeholders to think about the organization, and a reputation is what they actually think and say about it. What people think about an organization is important, and it does affect their behavior. However, most scholars and practitioners who embrace the symbolic paradigm seem to believe that messages or the media alone create a brand or reputation. Our research, in contrast, shows that what stakeholders think (i.e., the cognitive structures such as brands or reputations that are in their minds) reflect more the behavior of the organization and the actual relationships that stakeholders have with an organization than it reflects messages organizations send out. To put it simply: Actions speak louder than words. To truly “manage” a brand or reputation, therefore, public relations professionals must participate in making management decisions and managing an organization’s behavior. We can explain how that is done by examining the strategic role of public relations and the linkages among organizational behavior, relationships, and reputation. The importance of a strategic management role for public relations emerged in the research project on Excellence in Public Relations and Communication Management that James Grunig, Larissa Grunig, and David Dozier conducted for the International Association of Business Communicators (IABC) Research Foundation from 1985 to 2002 (L. Grunig, J. Grunig, & Dozier, 2002). The Excellence study showed that the most effective public relations departments participated in the making of overall strategic decisions in organizations. Less-effective departments generally had the less-central role of disseminating messages about strategic decisions made by others in the organization. By participating in organizational decisions, excellent public relations departments were in a position to identify the stakeholders who would be affected by organizational decisions or who would affect those decisions. Once they had identified stakeholders, excellent public relations departments strategically developed programs to communicate with them. They conducted formative research to identify potential issues and define objectives for programs to communicate with the stakeholders, they specified measurable objectives for the communication programs, and they used both formal and informal methods to evaluate whether the objectives had been accomplished. Less-excellent departments conducted no formative or evaluative research and generally had only vague objectives that were difficult to measure. Figure 1 depicts the roles of excellent public relations at two organizational levels, the organizational and the program levels—how the senior communication executive participates in the overall strategic management process of an organization and the strategic management of public relations programs themselves. The central concepts in Figure 1 are Management Decisions at the top, Stakeholders and Publics on the right, and Relationship Outcomes on the left. Connecting management and publics are the consequences that the behavior of each has on the other—the interdependence between an organization and its environment that creates the need for public relations. The double arrows between management decisions and stakeholders at the upper right of Figure 1 show that strategic decision-makers of an organization should interact with stakeholders through the public relations function because their decisions have consequences on publics or because the organization needs supportive relationships with stakeholders in order to make responsible decisions as well as to implement decisions and achieve organizational goals. Stakeholders also might seek a relationship with an organization in order to attain a consequence from the organization to solve a problem it recognizes—such as an environmental group that seeks a reduction in pollution from a chemical plant or nuclear laboratory or a community that seeks additional jobs for its residents. Thus the consequences of organizational decisions (and behaviors resulting from those decisions) define the stakeholders of an organization and, therefore, the stakeholders with whom the organization needs a relationship. We define stakeholders as broad categories of people who might be affected by management decisions or who might affect those decisions—such as employees, customers, or community residents. When a strategic public relations manager scans the environment, therefore, his or her first step should be to think broadly in terms of stakeholder categories. Then he or she should use a theory of publics (e.g., J. Grunig’s, 1997, situational theory of publics; or Kim, J. Grunig, & Ni’s, 2010; and Kim and Grunig’s, 2011, situational theory of problem solving) to identify and segment active, passive, and latent publics from the nonpublics that might also be present in the stakeholder category. It is important to recognize that the publics that are segmented are not permanent or stable. Rather, they come and go as situations and organizational consequences change. Thus, a public relations manager typically must continually resegment publics as organizational decisions and consequences change. It is especially important to segment active publics because active publics actually have relationships with organizations and typically make issues out of the consequences of organizational decisions when the organization fails to communicate with them. Active publics also communicate their dissatisfaction to less-active publics and thus tend to create a negative reputation among members of those publics. Kim and Rhee (in press) have called this the “megaphoning” effect of active publics. The behavior of a public may be individual or it may be collective—when members of publics organize into activist groups. Sometimes publics react negatively to harmful consequences of an organization’s behaviors—such as pollution or discrimination. At other times, they act positively to try to secure a behavior from an organization that has useful consequences for them—such as a community public that wants cleaner rivers and streams or a health-related public that might want a pharmaceutical company to produce an unprofitable, orphan, drug. At still other times, publics collaborate with organizations to secure consequences of benefit to both. If an organization communicates effectively with publics before decisions are made or during the implementation of decisions, issues and crises may never occur and good relationships should be secured—an outcome depicted by an arrow from Communication Programs to Relationship Outcomes in Figure 1. Figure 1 then shows that good relationships generally result in a good reputation for the organization. This is because publics tend to have good relationships with and to think well of organizations that make decisions and behave in ways that publics approve of. Figure 1 shows, however, that publics that cannot stop the consequences that harm them or secure the consequences that benefit them generally make issues out of the consequences. Issues, in turn, can become crises if they are not handled well. When issues or potential issues are discussed and negotiated with publics through communication, however, the result should be improved relationships with publics. At the center of the strategic processes described in Figure 1 is an oval representing communication programs—programs to cultivate relationships with publics. Communication with potential publics is needed before decisions are made by strategic decision-makers, when publics have formed but have not created issues or crises, and when issues and crises occur. Communication programs at the latter two stages are generally termed issues management and crisis communication by public relations practitioners. What Figure 1 illustrates, however, is that communication with publics before decisions are made is the most effective in resolving issues and crises because it helps managers to make decisions that are less likely to produce consequences that publics make into issues and crises. The public relations programs depicted in the center oval should be managed strategically themselves. These programs should be developed from strategies to cultivate relationships with publics. Most communication techniques, programs, or campaigns conducted by public relations professionals can be classified as relationship cultivation strategies. Communication programs should begin with formative research, then develop achievable and measurable objectives, implement the program, and end with evaluation of whether the objectives have been met. (For readers who are familiar with James Grunig’s four models of public relations [press agentry, public information, two-way asymmetrical, and two-way symmetrical], a cultivation strategy is a new concept we have used to replace the models of public relations with four underlying characteristics of communication strategy: direction (one-way or two-way), purpose (symmetrical or asymmetrical), mediated or interpersonal, and ethical or unethical [see, e.g., L. Grunig, J. Grunig, & Dozier, 2001, Chapter 8; Hung, 2007]). The final path in Figure 1 can be found in the dotted lines from Management Decisions to Organizational Reputation to Relationship Outcomes—a path labeled No Consequences. This path depicts the approach taken by public relations practitioners who are guided solely by the interpretive paradigm and believe that positive messages about management decisions—mostly disseminated through the mass media—can by themselves create a positive organizational reputation or brand. Such a path might produce what we call a reputational relationship—a relationship based only on secondary sources and not based on an actual relationship between the organization and a public (J. Grunig & Hung, 2002). Therefore, we have labeled the dotted line No Consequences because we believe that organizations have reputational relationships only with people for whom the organization has few consequences. Such people can be defined as audiences because they are not truly publics. These audiences have little importance to an organization. As soon as an organization or public has consequences on the other, it begins to develop an involving behavioral relationship rather than a low-involvement reputational relationship. It is at that point that a group of people becomes an active and strategic public rather than a passive audience. The public relations process depicted by Figure 1, therefore, provides a theoretical framework for a strategic management approach to public relations and explains how invisible corporate assets such as brand or reputation are produced though organizational governance and the cultivation of organization-public relationships. In addition to identifying the importance of a strategic management role for public relations, the IABC Excellence study also identified the importance of relationships in explaining the value of public relations to organizations and society. At the beginning of the study, the researchers searched the management and sociological literature on organizational effectiveness for ideas that could explain the value of public relations. They found that effective organizations choose and achieve appropriate goals because they develop relationships with their stakeholder publics. Ineffective organizations cannot achieve their goals, at least in part, because their publics do not support and typically oppose management efforts to achieve what publics consider illegitimate goals. Poor relationships cost the organization a great deal of money—as a result of litigation, regulation, legislation, negative publicity, strikes, boycotts of products, loss of sales or donations, and public opposition. As a result, the process of developing and maintaining relationships with strategic publics is a crucial component of strategic management, issues management, and crisis management. The Excellence study concluded, therefore, that public relations makes an organization more effective when it identifies the most strategic publics of the organization as part of strategic management processes and conducts communication programs to cultivate effective long-term relationships with those publics. As a result, we can determine the value of public relations by measuring the quality of relationships with strategic publics. And, we should be able to evaluate communication programs by measuring the effects of these programs and correlating them with relationship indicators. Since the completion of the Excellence study, James Grunig and two of his former students, Yi Hui Huang now of Chinese University of Hong Kong and Ching-Ru Hung now of Hong Kong Baptist University, searched the literature on interpersonal communication to identify characteristics of relationships that could be applied to organization-public relationships and to develop measures of these relationships. They identified four qualities of a good long-term relationship: trust (the level of confidence that an organization and public have in each other and their willingness to open themselves to the other), control mutuality (the degree to both organization and public are satisfied with the amount of control they have over the relationship), commitment by both to the relationship, and satisfaction with the relationship (see Hon & J. Grunig, 1999). Nevertheless, we found that most popular measures of reputation—such as the Fortune reputation index or Fombrun’s Reputation Quotient—measure attitudes toward corporations rather than reputations. Attitudes are cognitions (thoughts) with an evaluative judgment attached to them. Most measures of reputation consist of the averaged evaluations of a number of areas of corporate performance (such as ethical behavior, treatment of employees and workplace conditions, financial performance, leadership, quality of management, social responsibility, customer focus, quality, reliability, and emotional appeal) as rated by several quite different publics (such as financial analysts, CEOs, and the “general” public). Because of the wide differences in publics and in the areas evaluated, the single average measure of reputation produced by most of the reputational surveys means little. 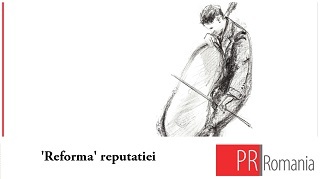 In contrast to these grossly averaged measures, most writers about reputation (such as Fombrun, 1996, in his book on reputation) do actually argue that reputation is a product of organizational behavior and of relationships with publics. Yet they measure neither the behaviors that publics recall nor relationships. As we showed in our previous discussion of Figure 1, we do not believe that reputation can be managed directly. Rather, it can be influenced by affecting the behavior of management—when public relations executives participate in the strategic decision-making processes of an organization. We also believe that reputation is a byproduct of organization-public relationships and that relationships should be used as the focal variable for measuring the value of public relations activities. In contrast, writers about reputation generally believe that public relations serves a symbolic- interpretive, or strategic messaging, function rather than a strategic management function. For example, in his book on reputation Fombrun (1996) discussed public relations in the chapter on Shaping Consistent Images, which contains headings such as Spin Doctoring, Swayed by the Media, and Public Facades. In contrast, we believe that public relations can help shape management behaviors. The role of public relations goes beyond communicating messages after decisions are made. Reputations are shaped by organizational behavior, and messages alone cannot change the way publics interpret these behaviors. To support this theory, J. Grunig and Hung (2002) used the work of cognitive psychologists to develop an open-end question to measure the cognitive structures that people hold in their minds about organizations. They defined reputation as a distribution of different kinds of cognitive representations (rather than an average score) held by members of a collectivity—such as the general population or a specific public of an organization. These representations may or may not include an evaluation—an attitude. To measure this concept of reputation, they asked a sample of the general population to “describe in a sentence or two what comes to mind when you think of” five organizations that were chosen for different reasons—General Electric, the National Rifle Association, the U. S. Social Security Administration, Microsoft, and the American Red Cross. They coded these responses into different categories and then compared the means of our six relationship variables for participants who mentioned each category with those who did not mention it. The results confirmed that organizational behaviors and relationships were strongly related to reputation. Although organizational behaviors that people remembered were not always the most frequent cognitive structures (reputations) that people held for all of the organizations studied, they were at the top for organizations that were particularly popular or unpopular. The recall of either good or bad behaviors, in turn, had the most significant effect on the way research participants viewed the type and quality of relationships with an organization. At the same time, the researchers found evidence that there can be a reputational relationship between an organization and a less-involved public. People who do not have experience with an organization can, and do, evaluate their relationship with it solely on what they have read or heard from others. In the case of the National Rifle Association, this reputational relationship led people to stigmatize or shun the organization—even though they did not perceive an involvement with it or have more than superficial knowledge about the organization. Although this research suggests that public relations professionals should emphasize relationships as the focus of their work, it also showed that J. Grunig and Hung’s definition and measure of reputation has value as a public relations metric. When reputation is defined as a distribution of cognitive representations, their open-end measure can reveal how members of a public think about an organization without forcing responses to fixed-end questions or the computing of a meaningless average score for many groups across many criteria. With this measure, it is possible to see what people do indeed think and say about an organization even when they know very little. Our explanation of the strategic management role of public relations and our brief review of research on how organizational behavior and relationships affect cognitive representations—i.e., reputations and brands—show that branding and reputation management involve much more than managing messages distributed through the mass media to the general population. An organization is “branded” by its behavior, and bad behavior damages its reputation. A cognitive representation such as a brand or reputation, therefore, can be managed only by managing the behavior of the organization. Public relations professionals, of course, do not manage organizational behaviors by themselves; but they can participate in the strategic decision-making process that produces those behaviors. Public relations professionals should play an important role in organizational governance and they should focus on relationships as an indicator of both the value and the success of their work. If they do, the organization’s reputation and brand will take care of themselves. In most cases, we believe public relations people should emphasize active, strategic publics when they involve stakeholders in management decision-making and measure the quality of relationships with those publics when they evaluate the success of public relations. Nevertheless, the indicators of relationships we have developed also can be used to evaluate reputational relationships with less-involved publics. Brand and reputation for involved strategic publics are, for the most part, a byproduct of relational interactions with an organization. For less-involved publics, these cognitive representations are rough, shaky conjectures based on whatever cues are available to them. Notably, however, involved publics (behavioral relationship holders) influence less-involved groups (reputational relationship holders) through their witnessing, ranting, and recommendations (i.e., their communicative actions). Thus, the most important way to influence corporate brand or reputation for all publics is to identify behavioral relationship holders and incorporate their interests into management decisions and thus indirectly influence reputational relationship holders. The threats or opportunities to a brand or reputation created by behavioral relationship holders have become amplified because of the current digitalization of new communication media. As Phillips and Young (2009) said in their book on online public relations, “your reputation . . . will increasingly depend on what comes up when you are Googled” (p. 157). Many "communicative actions" among strategic, active constituencies are now "digitally encoded" and "spread" through the extended social relationships that individuals form through social media. Specifically, negative or positive witnessing (what Kim and Rhee, in press, called the "megaphoning" effect of active publics) now spreads faster and remains accessible “almost forever"—retrievable in digitized form in a networked society. Thus less-involved groups have a greater chance of encountering negative (or positive) witnessing when they use digital media. For example, a potential customer might search the Internet to check the experiences of others before making buying decisions. If he or she encounters substantially more negative than positive witnessing, this new customer will hesitate to buy the product or services. For another example, many online communities provide a customer forum to share experiences with products or services. An organization’s relationship with "behavioral relationship holders,” therefore, creates threats and opportunities to corporate branding and reputation for active publics but also among “reputational relationship” holders. Arthur W. Page Society (2007). The authentic enterprise: An Arthur W. Page Society Report. New York. Retrieved June 26, 2010, from http://www.awpagesociety.com/images/uploads/ 2007AuthenticEnterprise.pdf. Bromley, D. B. (1993). Reputation, image, and impression management. Chichester, UK: John Wiley & Sons. Fombrun, C. J. (1996). Reputation: Realizing value from the corporate image. Boston: Harvard Business School Press. Fombrun, C. J., & Van Riel, C. B. M. (1997). The reputational landscape. Corporate Reputation Review, 1, 5-13. Global Alliance for Public Relations and Communication Management (2010, June 15). The Stockholm accords: A call to action for public relations and communication in a global society. Stockholm, Sweden. Retrieved June 26, 2010, from http://www.wprf2010.se/wp-content/uploads/2010/05/Stockholm-Accords-final-version.pdf. Grunig, J. E. (1997). A situational theory of publics: Conceptual history, recent challenges, and new research. In D. Moss, T. MacManus, & D. Verčič (Eds. 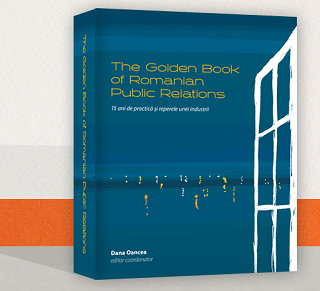 ), Public relations research: An international perspective (pp. 3-48). London: International Thomson Business Press. Grunig, L. A., Grunig, J. E., & Dozier, D. M. (2002). Excellent public relations and effective organizations: A study of communication management in three countries. Mahwah, NJ: Lawrence Erlbaum Associates. Hung, C. –J. (2007). Toward the theory of relationship management in public relations: How to cultivate quality relationships. In E. L. Toth (Ed. ), The future of excellence in public relations and communication management: Challenges for the next generation (pp.443-476). Mahwah, NJ: Lawrence Erlbaum Associates. Kim, J. –N., & Grunig, J. E. (2011). Problem solving and communicative action: A situational theory of problem solving. Journal of Communication 61, 120-149. Kim, J-N., Grunig, J. E., & Ni, L. (2010). Reconceptualizing the communicative action of publics: Acquisition, selection, and transmission of information in problematic situations. International Journal of Strategic Communication, 4, 126-154. Kim, J.-N., & Rhee, Y. (in press). Strategic thinking about employee communication behavior (ECB) in public relations: Testing the models of megaphoning and scouting effects in Korea. Journal of Public Relations Research. Phillips, D, & Young, P. (2009). Online public relations: A practical guide to developing an online strategy in the world of social media. London and Philadelphia: Kogan Page. Van den Bosch, F. A. J., & van Riel, C. B. M. (1998). Buffering and bridging as environmental strategies of firms. Business Strategy and the Environment, 7, 24-31. Published in the International PR Guide. Reproduced with the permission of the author.